On Thursday 22 November, the National Electrical and Communications Association (NECA) held its annual National Excellence Awards at the Grand Hyatt Hotel in Melbourne. 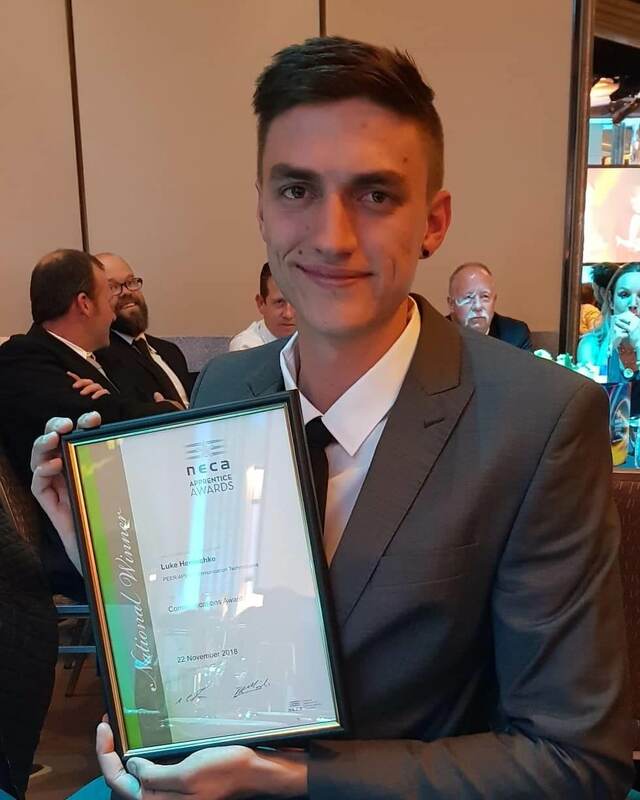 We are pleased to announce that PEER Data & Communications Graduate: Luke Hentschke was successful in becoming Apprentice of the Year in the Communications category. Luke recently completed his apprenticeship with PEER and is now employed by Apex Energy Australia. “We are extremely proud of Luke’s achievements and look forward to watching him achieve his goals in becoming a Project Manager, Safety Advisor and a mentor of rising apprentices,” he says. PEER would like to thank all who have supported and mentored Luke throughout his apprenticeship journey, and congratulate Luke on this fantastic achievement!